UK Industries Training are a leading industrial and construction training provider. We offer a wide range of courses from a dedicated training depot based in Nottingham in the heart of the East Midlands. 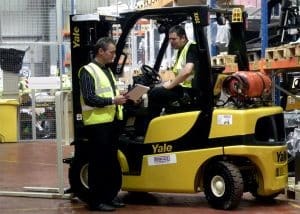 Some of the most popular courses we offer are Forklift Training where we provide 1, 3 and 5 day courses catering for everyone from Novices to Experienced operators. We can deliver forklift training either on your site or at our Nottingham training centre. Our courses can be done in-house, or it can be NORS registered through our training affiliation with RTITB. We are also able to offer tailor made, bespoke training packages to suit your requirements. All our instructors are qualified with many years of experience and will create minimum disruption to your business whilst carrying out the training. 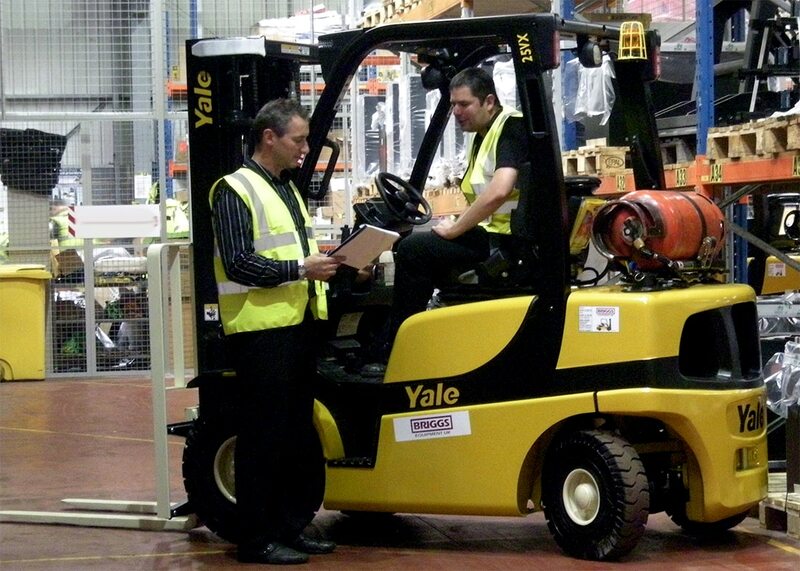 One instructor can train a maximum of three delegates using one forklift truck. We offer three courses designed for varying levels of experience and ability. 1 Day Refresher – Our one-day refresher course is designed for operators who have already completed formal training and have a R.T.I.T.B certification or equivalent. This course comprises both theory and practical elements and candidates who successfully complete the course will receive a RTITB Certificate of Training and registration on the NORS database which is valid for 3 years. 3 Day Experienced Operator – This course is designed for individuals who have some experience in operating counterbalance forklift trucks but have not yet had formal RTITB Forklift Training. The course includes both theory and practical training and assessment covering basic skills and health and safety considerations. Candidates who successfully complete the course will receive a RTITB Certificate of Training and registration on the NORS database which is valid for 3 years. 5 Day Novice Operator – This five day course is designed for individuals with very little or no experience in operating counterbalance forklift trucks. The course combines both theory and practical elements and covers all aspects of basic operation as well as health and safety considerations. Candidates who successfully complete the course will receive a RTITB Certificate of Training and registration on the NORS database which is valid for 3 years. Since 2003, the National Operator Registration Scheme has been helping to reduce administrative time and cost whilst improving workplace safety and reducing skill fade. With RTITB’s innovative certification scheme, employers and operators can be confident that they have proof that their training is genuine and accredited by a recognised body.